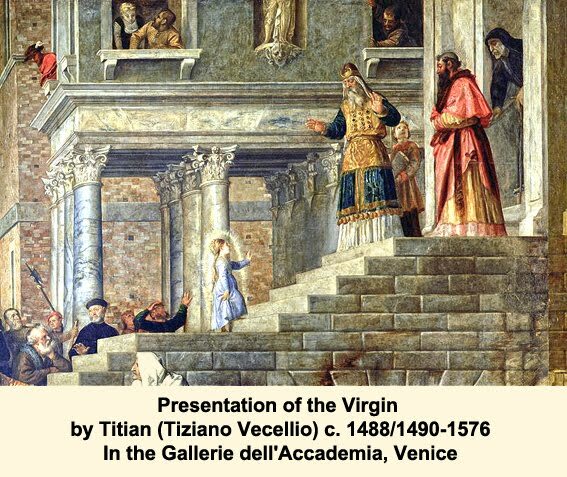 But on this occasion, as the service for the day recounts, they lead the child to the "Holy of Holies," to the place where no one except the priests are allowed to go, the mystical inner sanctum of the temple. The girl's name is Mary. She is the future mother of Jesus Christ, the one through whom, as Christians believe, God himself came into the world to join the human race, to share its life and reveal its divine content. Are these just fairy tales? Or is something given to us and disclosed here, something directly related to our life, which perhaps cannot be expressed in everyday human speech? Here was this magnificent, massive, solemn temple, the glory of Jerusalem. And for centuries it was only there, behind those heavy walls, that a person could come into contact with God. Now, however, the priest takes Mary by the hand, leads her into the most sacred part of the Temple and we sing that "The most pure Temple of the Savior is led into the temple of the Lord." Later in the Gospels Christ said, "destroy this temple and in three days I will raise it up," but as the Evangelist added, "He spoke of the temple of His Body" (Jn 2: 19, 21). The meaning of all these events, words and recollections is simple: from now on man himself becomes the temple. No stone temple, no altar, but man - his soul, body and life - is the sacred and divine heart of the world, its "holy of holies." One temple, Mary - living and human - is led into a temple made of stone, and from within brings to completion its significance and meaning. With this event religion, and life even more so, undergoes a complete shift in balance. What now enters the world is a teaching that puts nothing higher than man, for God Himself takes on human form to reveal man's vocation and meaning as divine. From this moment onward man is free. Nothing stands over him, for the very world is his as a gift from God to fulfill his divine destiny. From the moment the Virgin Mary entered "the Holy of Holies," life itself became the Temple. And when we celebrate her Entrance into the Temple, we celebrate man's divine meaning and the brightness of his high calling. These cannot be washed away or uprooted from human memory.